With Indefatigable Optimism, Tomi’s thoughts today are of reconciliation and hope. 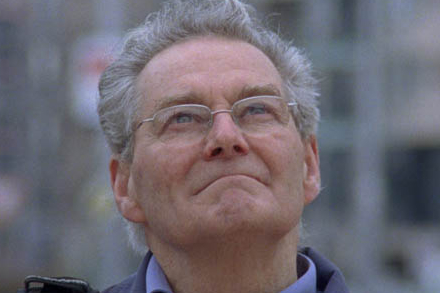 The award winning author Tomi Reichental is to be honoured by the German President, with the presentation of the Order of Merit of the Federal Republic of Germany. Tomi is the author of the book “I was a boy in Belsen” and the subject of two documentaries on his experiences as a holocaust survivor in the Bergen Belsen concentration camp during 1944 and 1945. Born in 1935 in Bratislava to a Jewish family, Tomi was arrested by the Gestapo in October 1944 while standing in a grocery store. Tomi as well as twelve other members of his family were taken into custody and then transported in cattle wagons to Bergen Belsen and Buchanwald. At the conclusion of the war it was discovered that Tomi had lost 35 members of his family following their detention in these camps. Tomi Moved to Ireland in 1959 and settled down to raise his family and build a new life here in Dublin in the 1960’s. In recognition of his tireless work in the combating of xenophobia and racism, and in particular his commitment to the cause of reconciliation and highlighting the futility of hatred, His Excellency the German President, Joachim Gauck has decided to Honor Tomi with the Nation’s Highest award to an individual, the Order of Merit. The Ceremony of presentation will take place on January 29th 2013 at the German Embassy in Dublin and the presentation will be made by His Excellency the German Ambassador to Ireland Dr. Eckhard Lübkemeier. The Order of Merit of the Federal Republic of Germany was instituted in 1951 by Federal President Theodor Heuss. It is the only honour that may be awarded in all fields of endeavour and is the highest tribute the Federal Republic of Germany can pay to individuals for services to the nation. The Order of Merit may be awarded to Germans as well as foreigners for achievements in the political, economic, social or intellectual realm and for all kinds of outstanding services to the nation in the field of social, charitable or philanthropic work.